Eleven days after the proclamation of the Philippine Independence on June 12, 1898, President Emilio Aguinaldo formed his government with the Department of Agriculture and Manufacturing as one of the first agencies. The Department was headed by three directors, Jose Alejandrino (1898-1899), Graciano Gonzaga and Leon Ma. Guerrero, both during the latter part of 1899. In 1901 during the American regime, the Department was renamed Insular Bureau of Agriculture under the Department of Interior and was headed by Americans, Frank Lamson-Scribner (1902), WC Welborn (1904), and Dr. George Nesom (1907). In 1910, the Bureau, under the supervision of the Department of Public Instruction, was headed by Frederick Taylor(1911-1914) and Harry Edwards (1914-1916). After Edwards, the helm of the bureau was again given to a Filipino, Adriano Hernandez who himself was a practicing farmer. In 1917, the Department of Agriculture and Natural Resources (DANR) took over the functions of the bureau and was led by Secretaries Galicano Apacible (1917-1921), Rafael Corpuz (1921-1923), and Silvestre Apostol (1923-1928). During the administration of Secretary Rafael Alunan, Sr. (1928-1932), the DANR became the Department of Agriculture and Commerce. The Bureau of Agriculture was split into two bureaus, the Plant Industry and the Animal Industry. 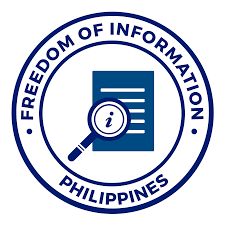 The following year, the Fish and Game Administration and the Fiber Inspection Service were established under the leadership of Secretary Vicente Singson Encarnacion (1933-1934). From 1934-1938, Eulogio Rodriguez, Sr. was appointed Secretary and was replaced by Secretary Benigno S. Aquino, Sr. until 1941. During Aquino’s term, the Fish and Game Administration was restructured and the Division of Soil Survey was created. Upon the outbreak of the Pacific War, Pres. Quezon re-appointed Secretary Rafael Alunan, Sr. (1941-1942) as Secretary of Agriculture and Commerce. After the Japanese liberalization on July 4, 1945, the government rebuilt the country and reconstituted the agencies including the Department of Agriculture and Commerce (DAC). With the resumption of the Commonwealth Government, President Sergio Osmeña reappointed Vicente Singson Encarnacion as Secretary of the DAC. Thereafter, Mariano Garchitorena (1946-1948) was appointed by President Manuel Roxas. In 1947, the Department was renamed as the Department of Agriculture and Natural Resources (DANR). In September 1948, President Elpidio Quirino appointed Placido L. Mapa as Secretary. Two years later, Vice President Fernando Lopez served concurrently as the DANR chief. During his term, the Bureau of Agricultural Extension (now Agricultural Training Institute) was established, along with the organization of the 4-H Clubs and Rural Improvement Clubs (RICs) nationwide. In 1953, President Quirino reappointed Placido L. Mapa as Secretary. Under his tenure, the Rice Economic Board was set up, making the rice industry the first commodity to have an integrated national planning. Salvador Araneta (1953-55) was later named as Secretary and three major agencies under the DANR were created, namely: Agricultural Tenancy Commission, precursor of the Department of Agrarian Reform; Philippine Tobacco Administration, forerunner of the National Tobacco Administration; and Philippine Coconut Administration (now known as Philippine Coconut Authority). During the latter part of his term, President Magsaysay appointed Juan G. Rodriguez (1955-60) as DANR chief, whose term was highlighted by several milestones: the Philippines became a member of the United Nations Food and Agriculture Organization (FAO); launch of the National Rice and Corn Production Program; and creation of the Rice and Corn Coordinating Council, forerunner of the National Agricultural and Fishery Council (NAFC). On September 14, 1959, the DANR offices moved from Manila (at Agrifina Circle) to Quezon City (along Elliptical Road , Diliman). When Cesar Fortich became the DANR chief in 1961, the Abaca Development Board (forerunner of the Fiber Development Authority) was created. Jose Locsin, then concurrent Chairman of the National Economic Council, succeeded Fortich from September to December 1961. In 1962, President Diosdado Macapagal appointed Benjamin M. Gozon as Secretary. During his term, two agencies were created: the Bureau of Agricultural Economics (forerunner of the Bureau of Agricultural Statistics); and the National Rice and Corn Administration or RCA (now known as the National Food Authority). The following year, President Macapagal appointed RCA Administrator Jose Y. Feliciano as concurrent Secretary of Agriculture. Feliciano launched the Agricultural Marketing News Service that provided regularly farmers and consumers prices of selected commodities. In 1965, President Ferdinand Marcos named Vice Pres. Lopez as Secretary, serving for the second time in a concurrent capacity. Considered as the “rice czar,” he successfully implemented a production program that enabled the Philippines to export rice for the first time in 1968. During the early years of Martial Law, in May 1974, President Marcos reorganized and split the DANR into two agencies: Department of Agriculture (DA); and Department of Natural Resources (DNR). Arturo R. Tanco, Jr. was named as DA Secretary. Four years later, government departments were transformed into ministries. With Tanco remaining at the helm of the Ministry of Agriculture, the Masagana 99 rice production program was launched which made the country self-sufficient and a rice exporter. A similar program on corn also made the country self-sufficient in white corn. In June 1978, the MA established 12 regional offices nationwide. Six years later, in June 1984, the agency was renamed Ministry of Agriculture and Food (MAF). The Bureau of Fisheries and Aquatic Resources was transferred from the Ministry of Natural Resources. In 1984, under a parliamentary government, Assemblyman Salvador H. Escudero III — former Director of the Bureau of Animal Industry and MAF Deputy Minister — served as MAF Minister. Escudero implemented the Intensive Rice Production Program (IRPP), an import-substitution program, expanded government’s animal dispersal program, particularly the Bakahang Barangay (cattle raising the at village level) andPagbababuyan (swine raising). On February 1986, as a result of the ‘EDSA People Power Revolution,’ Corazon C. Aquino was catapulted as President. She named Ramon V. Mitra, Jr. as MAF Minister who implemented policy and institutional reforms that freed the agriculture markets, enabling farmers to enjoy higher farmgate prices. MAF Deputy Minister Carlos G. Dominguez was appointed to replace Minister Mitra. 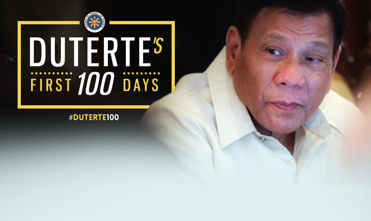 On January 30, 1987, President Aquino signed and issued Executive Order No. 116, which renamed and reorganized the MAF into the Department of Agriculture. Under DA, Dominguez introduced reforms in the rural credit system and established Comprehensive Agricultural Loan Fund (CALF). In 1988, the Livelihood Enhancement for Agricultural Development (LEAD) program was launched to speed up farmers' organizations access to financing, management expertise, and marketing. Agriculture and Fishery Councils (AFCs) were set up at the sectoral, regional, provincial and municipal levels to provide inputs on major programs and policy decisions and help plan and monitor DA projects. Senen C. Bacani, appointed in Janaury 1990, implemented the Rice Action Program (RAP) and Corn Production Enhancement Program (CPEP) enabling the Philippines to once again export rice in 1992 and attained self-sufficiency in corn, respectively. In 1992, President Fidel V. Ramos named Roberto S. Sebastian as DA chief who introduced the Key Production Approach (KPA) which became the basis in the formulation of the Medium-Term Agricultural Development Plan (MTADP). In 1996, President Ramos appointed Dr. Salvador H. Escudero III, serving for the second time as DA Secretary. During that time, he launched the Gintong Ani food production and security program. He also organized subsistence farmers into functional groups and cooperatives, aimed at transforming them into viable producers and entrepreneurs. In July 1998, President Joseph Ejercito Estrada designated William D. Dar as Acting DA Secretary who introduced the Estrada administration's 10-point agenda in agriculture and fisheries under the Agrikulturang Makamasa program. In March 1999, President Estrada named former Senate President Edgardo J. Angara as DA Secretary who authored the Agriculture and Fisheries Modernization Act of 1998 or AFMA (Republic Act No. 8435). He put into action the law’s visions of transforming and modernizing the country’s agriculture and fisheries sector. Domingo F. Panganiban continued the implementation of AFMA as the government’s comprehensive framework and platform for rural development when he assumed office in January 2001. A month later, he was replaced by Leonardo Q. Montemayor who implemented the AFMA with special emphasis on its social equity aspect. He launched the Ginintuang Masaganang Ani Countrywide Assistance for Rural Employment and Services (GMA-CARES). Secretary Luis P. Lorenzo Jr., took the helm of the Department in December 2002 and spearheaded the launching of the Roll-On, Roll-Off or RORO transport program. The hybridization programs of the Department were intensified and interventions were focused on the Mindanao regions. Secretary Arthur C. Yap, appointed on August 23, 2004, continued to uphold the vision of a modernized smallholder agriculture and fisheries, a diversified rural economy that is dynamic, technologically advance and internationally competitive. Under his term, Goal 1 (develop two million hectares of new lands for agribusiness to contribute two million to the 10 million jobs targeted by 2010) and Goal 2 (make food plentiful while keeping the price of "wage goods" at low prices) were unveiled. During Panganiban’s 2nd term as Secretary, a total of 203,000 hectares of idle lands and 313,000 jobs were developed under Goal 1 and ten Huwarang Palengke (outstanding markets) were identified under Goal 2. Food lanes were designated for easier, faster and kotong-free transport of agricultural products. When Secretary Yap took the agri seat on October 23, 2006, he has aggressively and consistently implemented various projects and policies towards the attainment of food security and self-sufficiency. Under FIELDS, the government’s centerpiece program on agriculture, unveiled during the 2008 Food Summit, Yap has set achievement records for the Philippine agri and aqua sectors. Secretary Bernie Fondevilla continued DA’s mandate of providing sufficient food and sustainable livelihood for the Filipino people through modernized technologies and facilities when he took the agri seat on March 2010. On June 30, 2010, President Benigno S. Aquino III appointed two-term congressman of Quezon and civil engineer by profession Proceso J. Alcala as Secretary. One of the principal authors of Republic Act 10068, or the Organic Agriculture Act of 2010, he aimed to achieve self sufficiency in rice during his term. Even before he assumed office on July 1, 2016, Secretary Emmanuel F. Piñol has lined up his agricultural agenda in consultation with President Rodrigo R. Duterte. Both of them agreed that the country’s agriculture and fisheries program must go back to the basics which are to (1) produce food and (2) address poverty. Thus, agriculture efforts today are focused on the production and trade of two commodity groups: (1) Staple Food Commodities to ensure food sufficiency and security and (2) High Value Crops to generate jobs and foreign earnings. Over all, the DA is now working on a national color-coded agriculture and fisheries map, a food consumption quantification study, a massive institutional restructuring for the DA, intensive technology updating, and agricultural credit review for lower interest rates –all aimed at forging a more forceful, comprehensive, efficient, and transparent management and delivery of our services to the farmers, especially the smallholders. For rice, corn and other staple food, the new DA aims for self-sufficiency. It is therefore intensifying research efforts to improve farming technologies for rice and other commodities, including the use of high yielding varieties, effective soil rehabilitation and fertilizer program and modern post-harvest facilities to minimize losses. The DA is now doing a thorough review of the country’s water management and irrigation policies as well as conducting nation-wide soil analysis. President Duterte insists on freeing farmers from unnecessary and burdensome irrigation fees and the DA vows to make it happen as early as possible. The DA is also exploring solar irrigation technologies and is establishing linkages with the Department of Environment for the sustained preservation of our watersheds. For our high-value “golden crops,” such as coconut, banana, rubber, pineapple and many more, processing, value-adding and aggressive global marketing are now the key words. The DA is also exerting efforts to involve urban communities and businesses in sustained vegetable production in the urban areas using the advanced Israeli Green House technology. To top it all, upon the orders of President Duterte, Secretary Pinol is getting rid of corruption in the DA and will institutionalize the tools that will keep it corruption-free throughout the Duterte Administration and beyond. Along this line, the DA is also linking up with the Bureau of Customs and other relevant agencies to once and for all stop the smuggling of rice, meat products and other agricultural products like onion, garlic and ginger. All these efforts spring from the sincere desire of President Duterte and Secretary Piñol to bring about genuine reforms and real change that would uplift the lives of our farmers and fisherfolk as well as our entrepreneurs, consumers and ordinary citizens. Because the time for change is well past due. And we have to join hands and do it now.